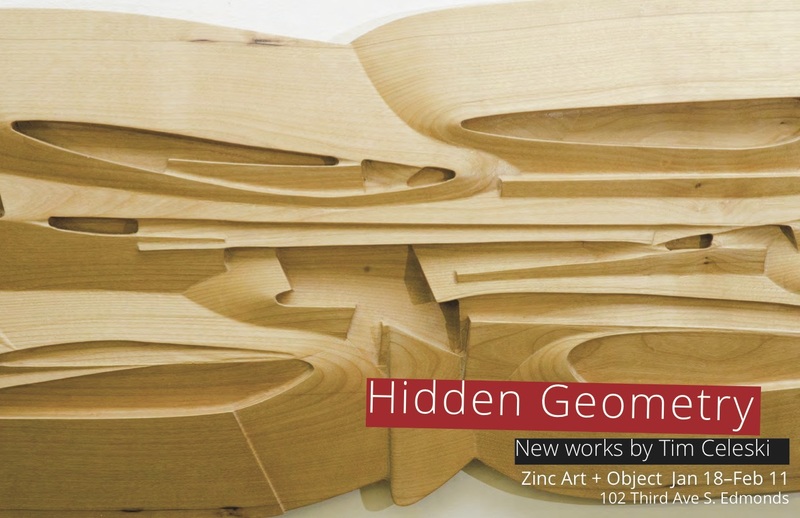 From January 18th through February 10th, ZINC Art + Object in Edmonds, Washington will feature new sculptural works by Tim Celeski. 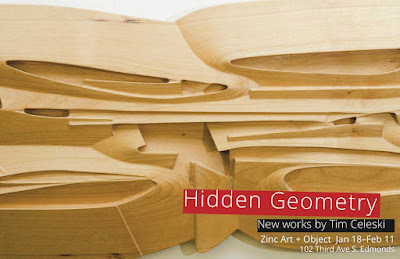 Hidden Geometry contrasts geometric and organic forms with the unique natural beauty of wood. A Rhino and Grasshopper user, Tim is best known for his extensive line of custom furniture. His creative work continues to evolve and he is now creating and showing new sculptural wood pieces. Using reclaimed and cast-off wood, Tim looks for material that is unique in its form and imperfections – often spalted or filled with worm holes with grain and patterns determined by the life of the tree. The results are panels, vessels, and free standing sculpture sized from 10 inches to over 10 feet. Like the trees the wood comes from each piece is unique, tactile with a sensuous surface that’s meant to be touched.